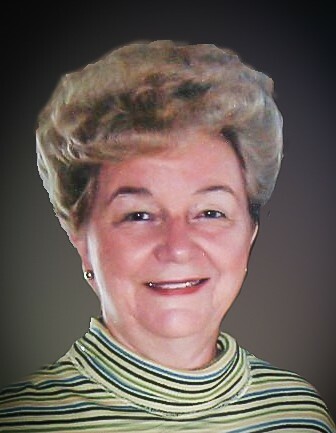 Mrs. Betty Kiger Chandler, 84, of Yadkinville passed away Thursday, April 11, 2019 at her home. She was born April 29, 1934 in Yadkin County and was of the Baptist faith. She graduated from Yadkinville High School in 1952 and upon graduation she went to work for Dr. Frank Walker, Dentist, as a dental assistant for seven years. Then, she married the love of her life and moved to Roanoke, VA and attended Virginia Western College, graduating in the first class of Dental Hygienist. She worked in that field for about ten years before retiring to Florida where she owned a gift shop in historic Longwood before moving back to Yadkinville. She was preceded in death by her parents and a daughter, Kathryn C. Perry. Survivors include her loving husband of 60 years, William “Bill” McVay Chandler; two daughters, Karen Chandler Bruno and husband Gary of East Bend and Kelly C. Ghon and husband Carl of Apoka, FL; three grandchildren; seven great grandchildren; two sisters, Carolyn B. Barksdale and husband Lee of Greensboro and Dotte B. Garbe and husband Kurt of West Palm Beach, FL. The family will receive friends Monday, April 15, 2019, from 10:00 AM until 12:00 PM at Hayworth-Miller Funeral Silas Creek Chapel. A graveside service will be conducted Monday, April 15, 2019 at 2:00 PM at Salem Cemetery with Pastor Georgianne Hartline officiating. In lieu of flowers, memorials may be made in her honor to Mountain View Hospice and Palliative Care, 401 Technology Way, Mount Airy, Suite 200, NC 27030. Online condolences may be made at www.hayworth-miller.com.